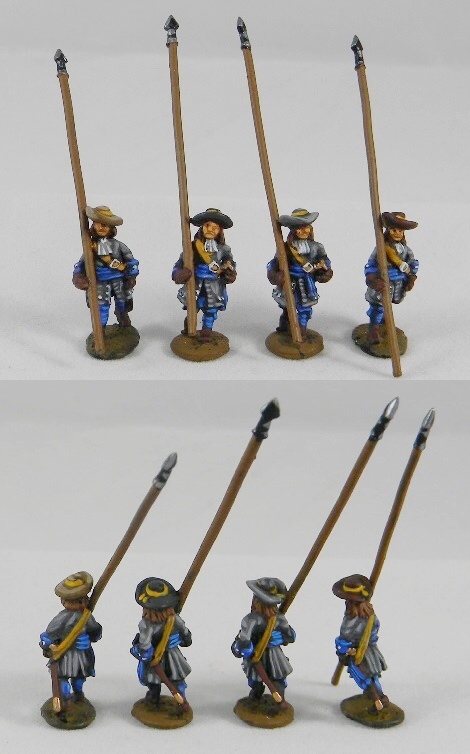 This range covers the various armies of the late 17th century from the adoption of the classic soldier's coat until "apostles" fell out of favour, around the middle of the War of the League of Augsburg. 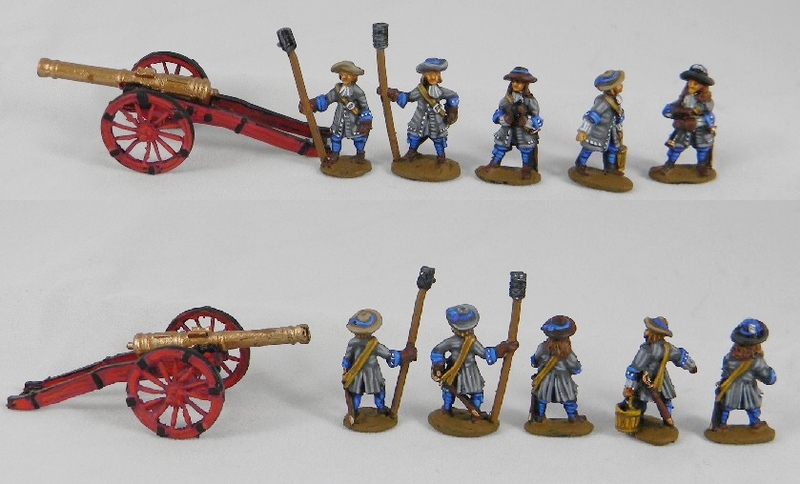 It will include such famous wars and campaigns as the Franco-Dutch and Scanian Wars, the Siege of Vienna, the Battle of Sedgemoor, and some early LoA battles such as Fleurus, Steenkerque and Landen. 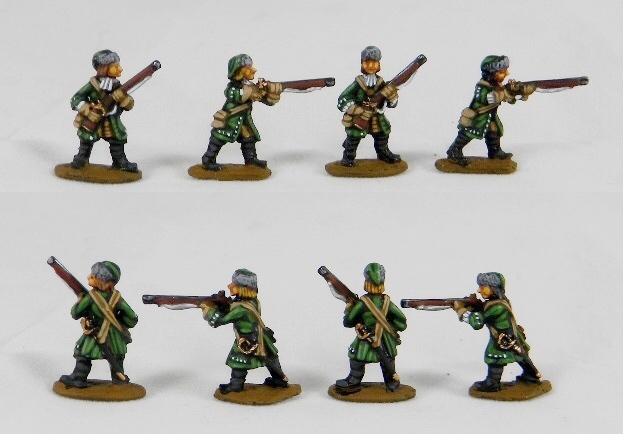 The listings begin with generic troops -- troops that are more distinctive in appearance will be listed separately (for which scroll down). 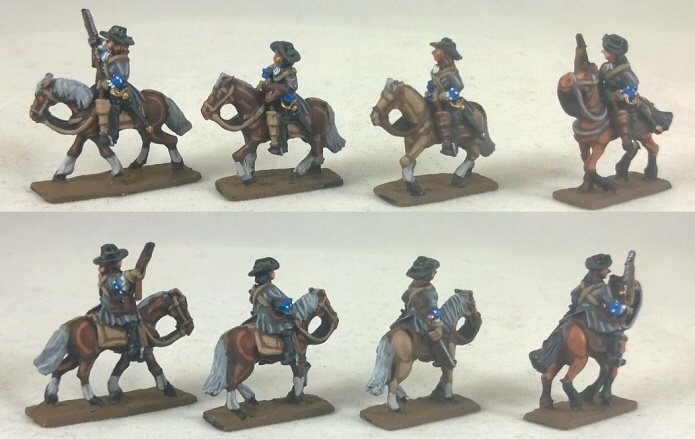 Note that the commanders are listed under the separate nations, but most of them could easily be used as general officers in other nations as well. 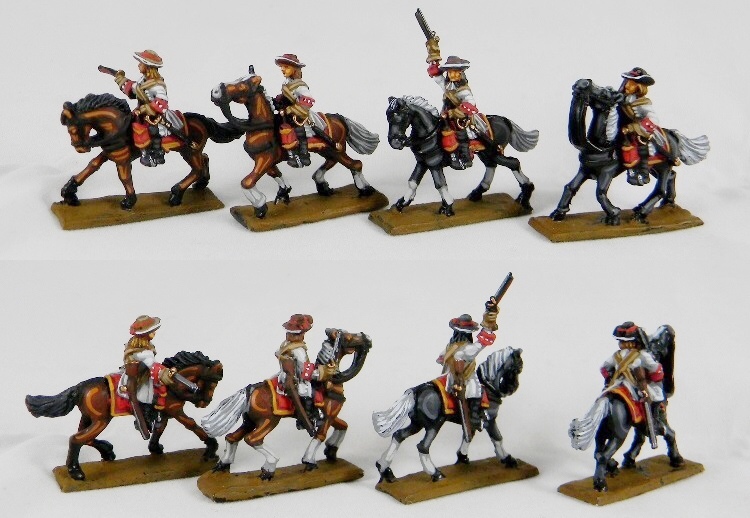 THIS RANGE HAS BEEN REDESIGNED. 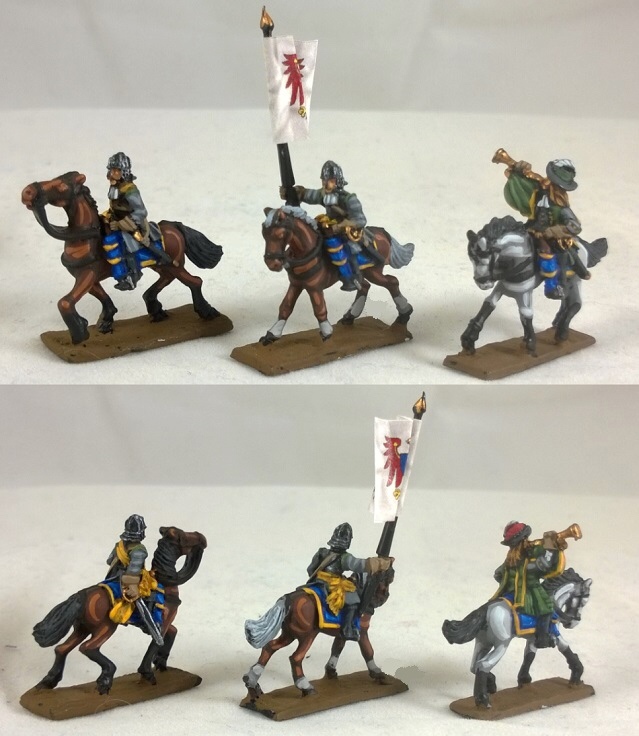 The old models have been replaced, or will be, and are no longer available. 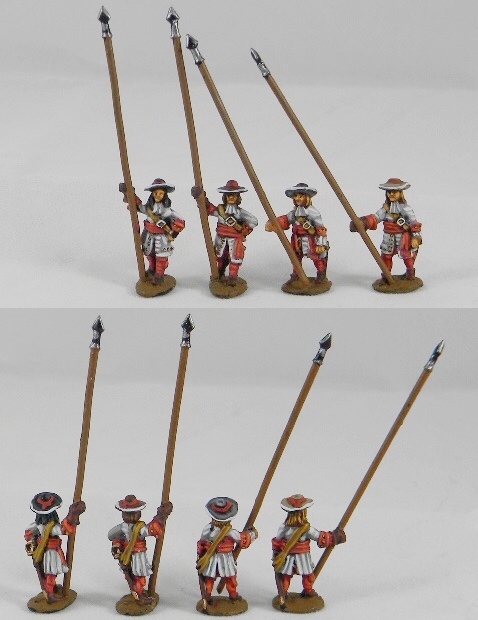 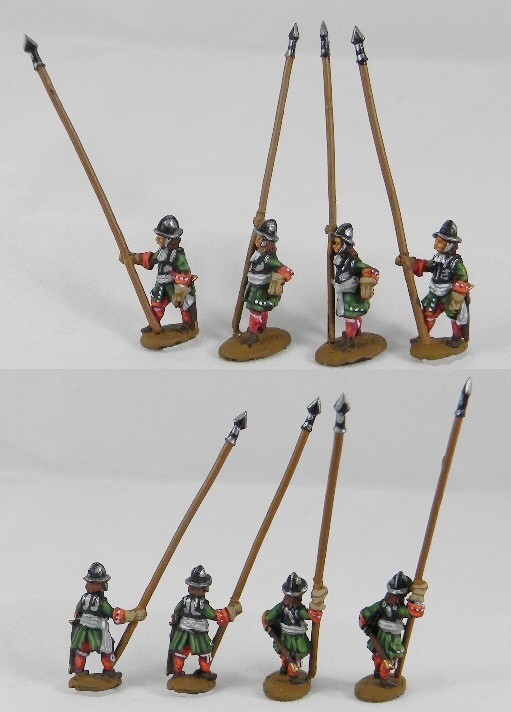 Some of the images of standing pikemen show them with their pikes angled in different directions, but that's due to the way the painter mounted the pikes -- the standing pikemen were all sculpted and cast to hold their pikes straight up. 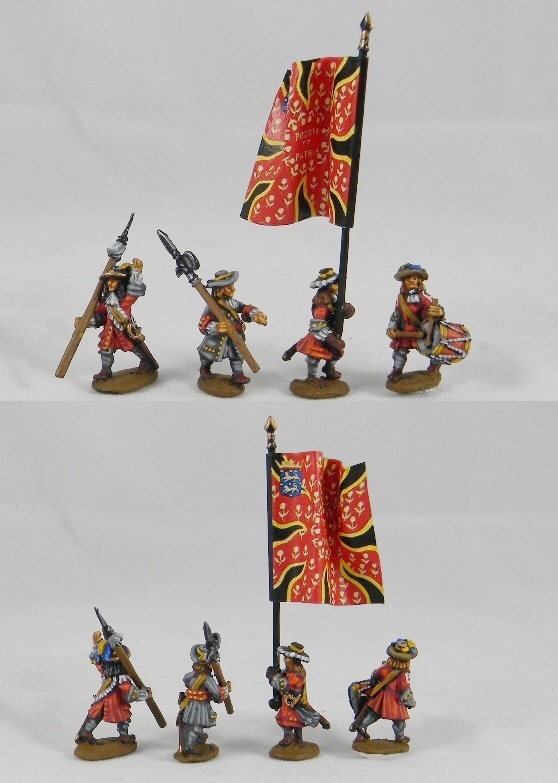 These codes are appropriate for many of the armies of the period, such as English, Dutch, Austrian, Brandenburg Prussia, various Italian states, and so on. 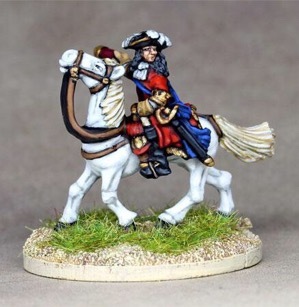 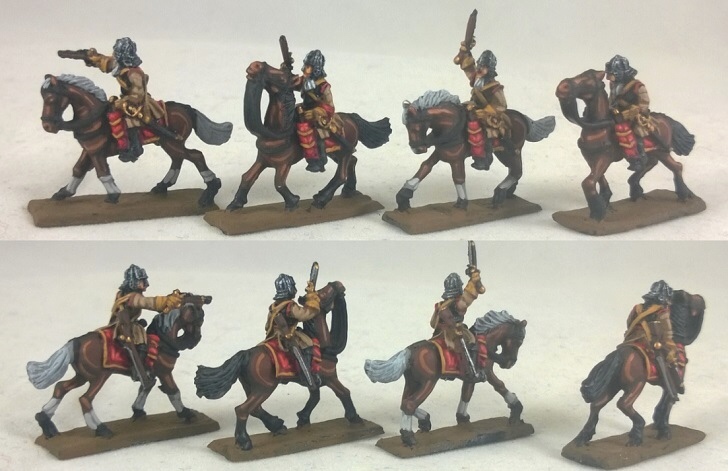 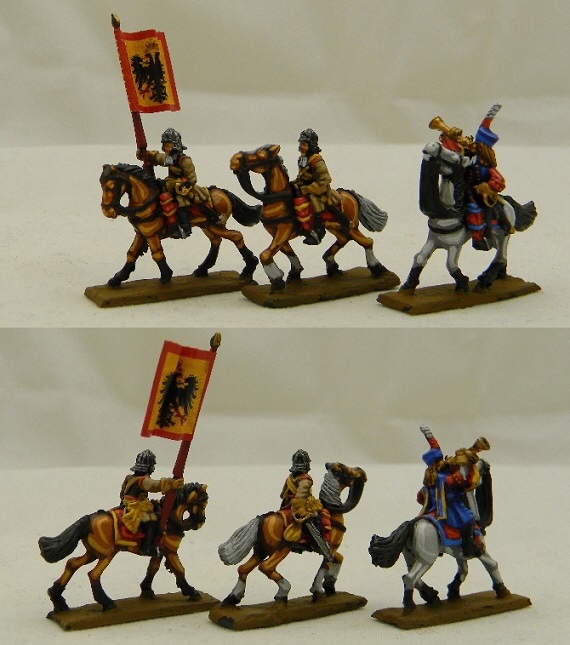 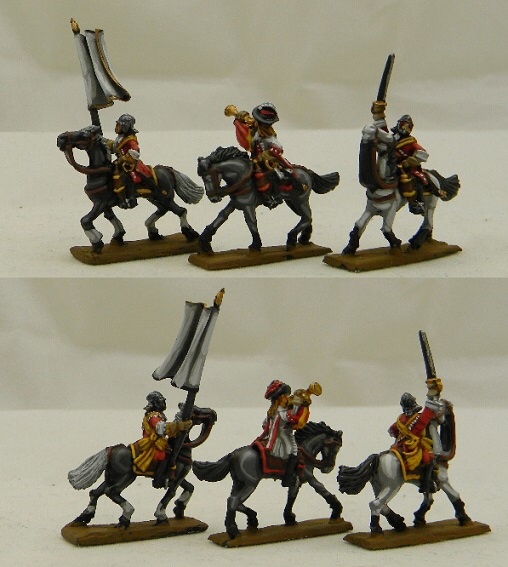 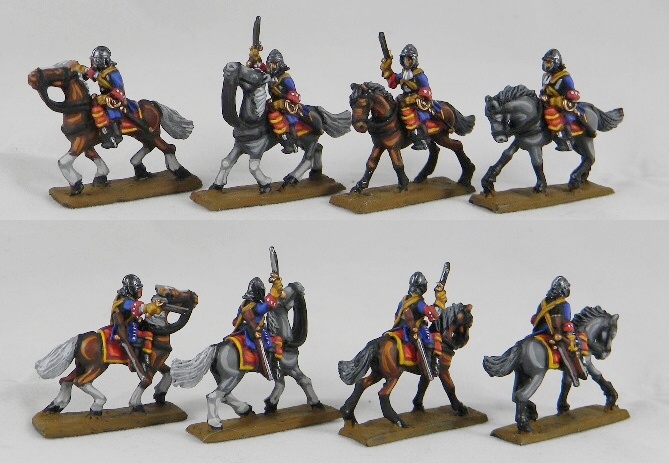 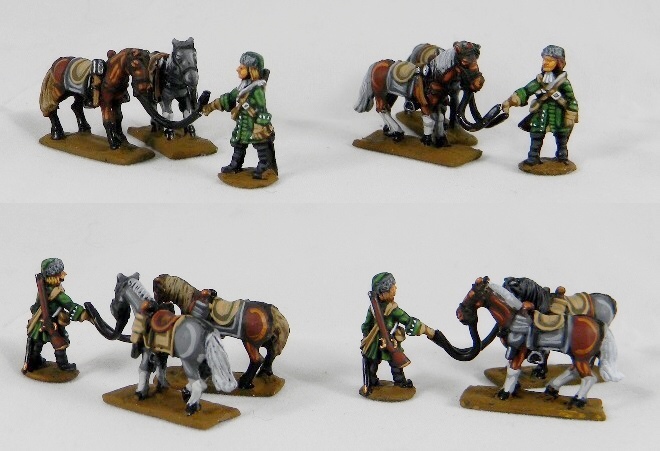 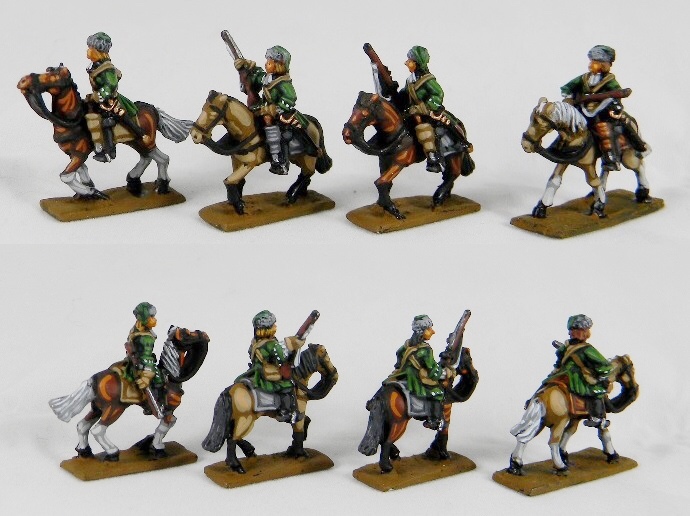 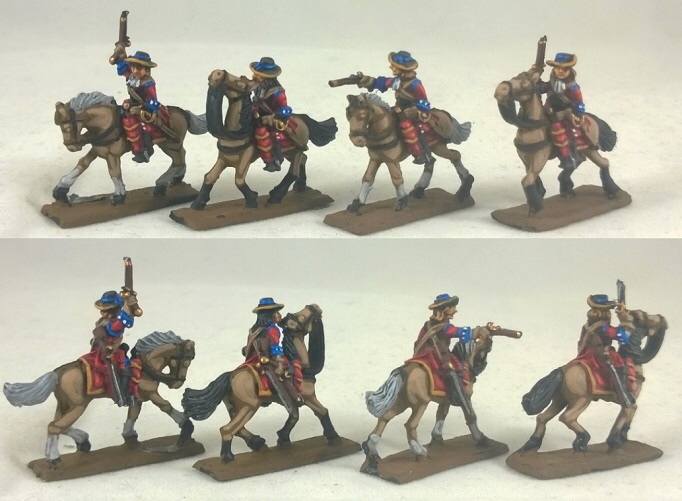 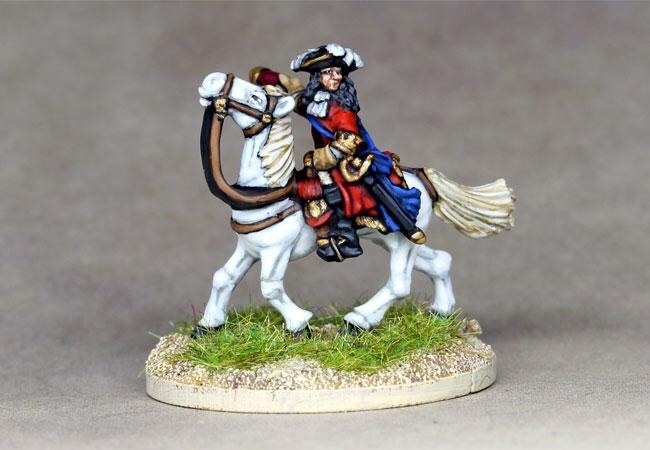 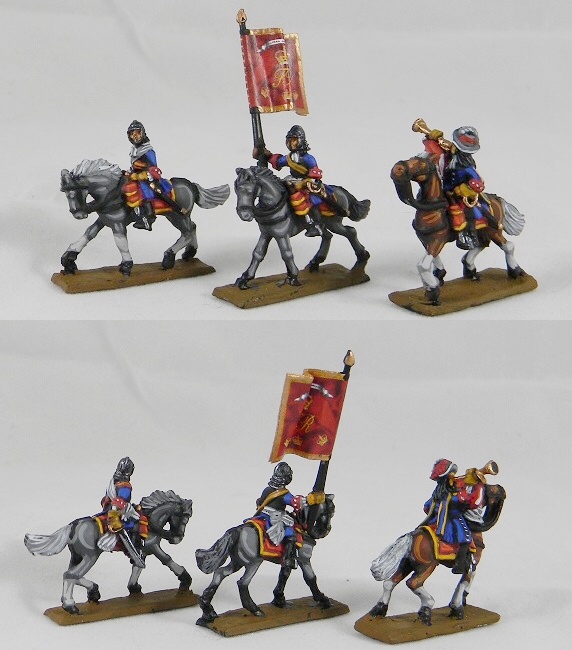 Dragoons, both mounted and dismounted being listed here, command and horseholders being available as well. 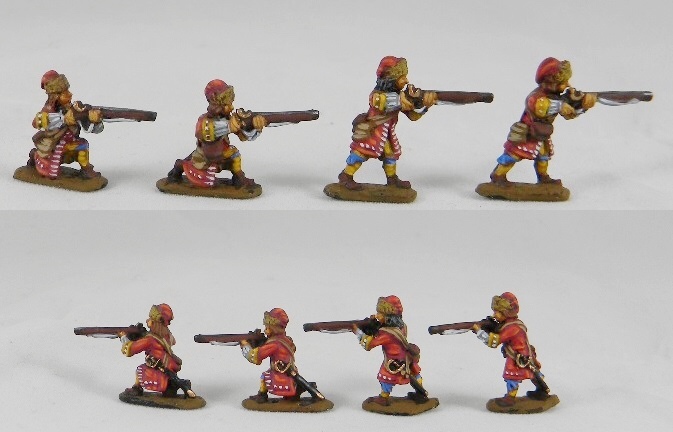 Guns meant for all Central and Western European Nations. 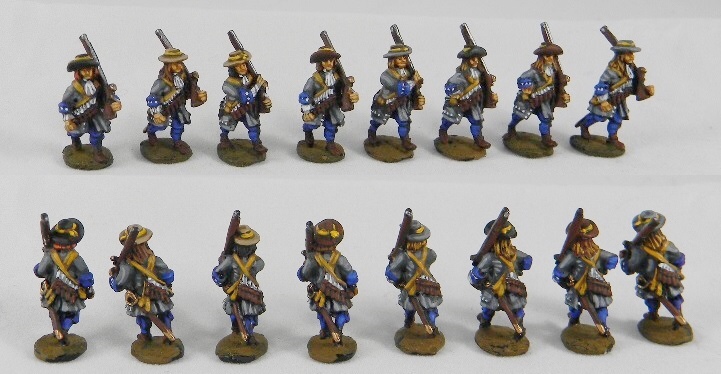 The medium field piece shown here is painted in Dutch colours. 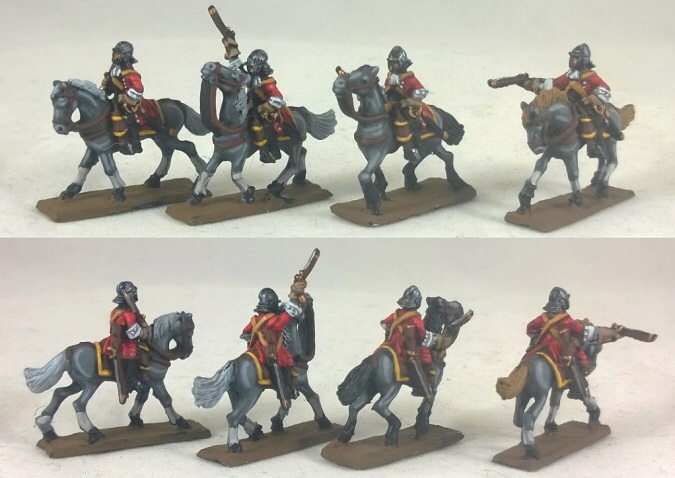 Most of the English Army can be built from the codes above, but some are unique, as follows. 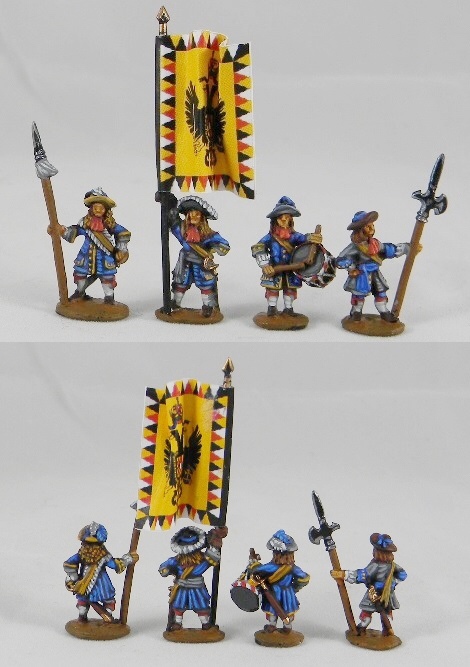 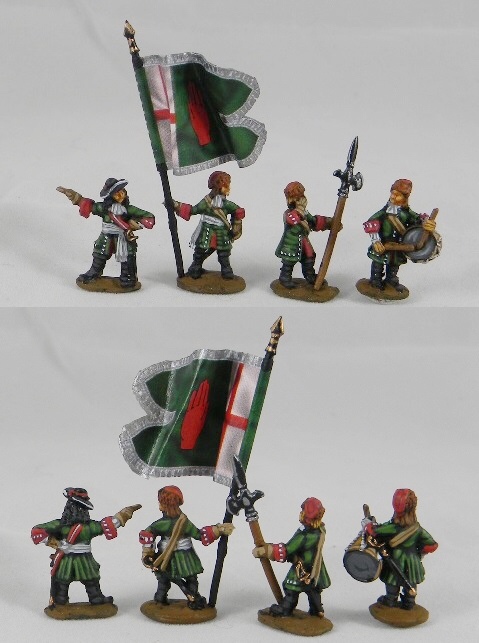 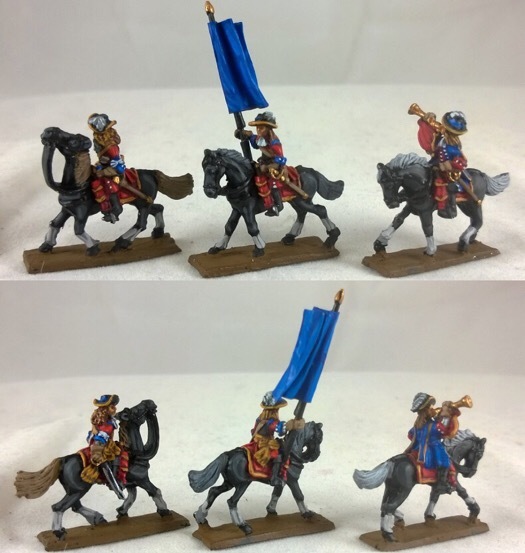 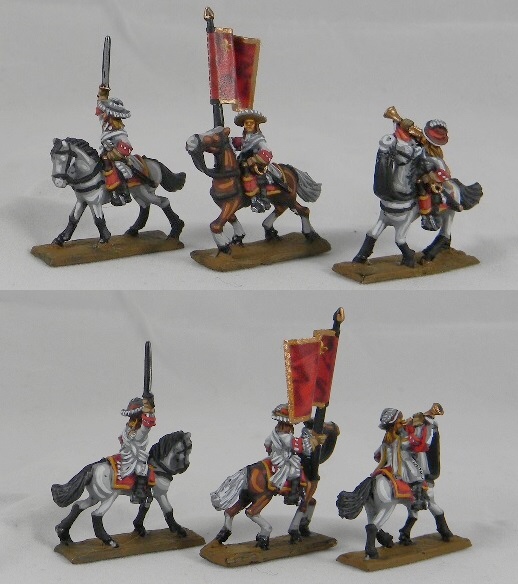 Most of the Austrian/Imperialist Army can be built from the codes above, but the Imperial cuirassier command had unique trumpeters.